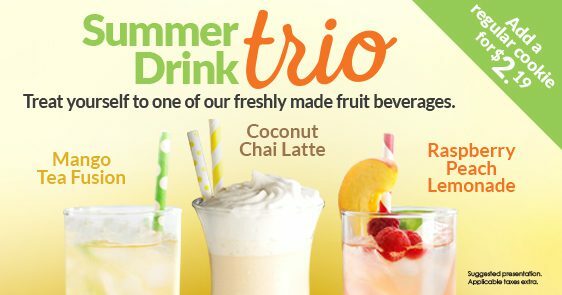 Introducing our Summer Drink Trio! Start Summer 2018 off right with our trio of summer drinks! Our Mango Tea Fusion, Coconut Chai Latte and Raspberry Peach Lemonade are waiting to take your summer and taste buds up a notch!